Ian Cox graduated from Durham University in 1969 and was admitted as an Articled Clerk under David Sarginson in 1970. 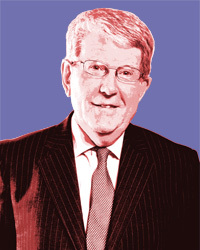 He qualified as a solicitor in 1972 and was made a Partner in the firm in 1980. He is now the Managing Partner of Sarginsons Law. Ian has previously undertaken a wide range of private practice, including immigration, family, litigation, wills and probate, criminal and Personal Injury. For the last 20 years however, he has specialized in residential and commercial conveyancing, providing expert advice on large commercial contracts, mergers and acquisitions.